Who has time to go through every customer’s call logs separately? It’s difficult to manage different spreadsheets containing the sales, appointments, schedules, emails and so on! To retrace any customer information or the need for a quick update about the lead - the sales team have to tread through multiple sources to piece together information. In a time-sensitive job like sales, this approach isn’t just infeasible, it’s unsustainable as well. Wouldn’t life become easier if the goldmine of information is available in one system - under one roof? 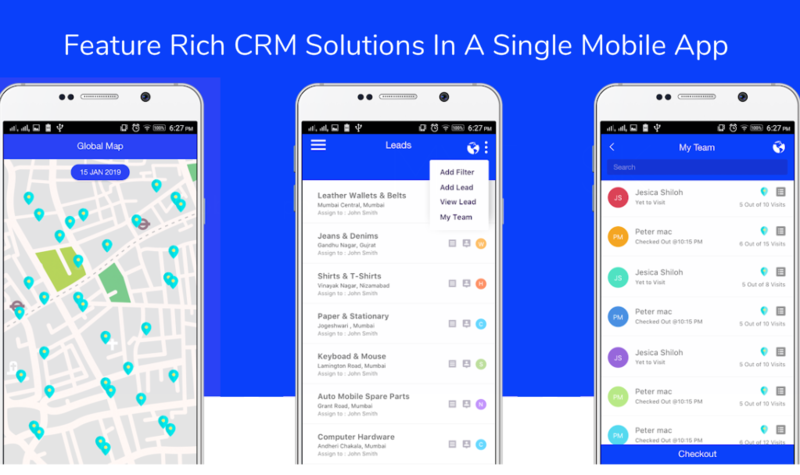 We bring you SALESLY, a perfect CRM tool for all your sales problems. Salesly.ai is all in one sales CRM software allowing sales manager, sales executive, and sales leader to track their leads, monitor performance of the employees and analyze the complete sales cycle. Lead Management - Very simple and intuitive interface to manage all your leads, with user-defined tags and filters based on various segments. Expense Management - Managing expense reimbursements for sales rep can be cumbersome, we make it very easy and simple. 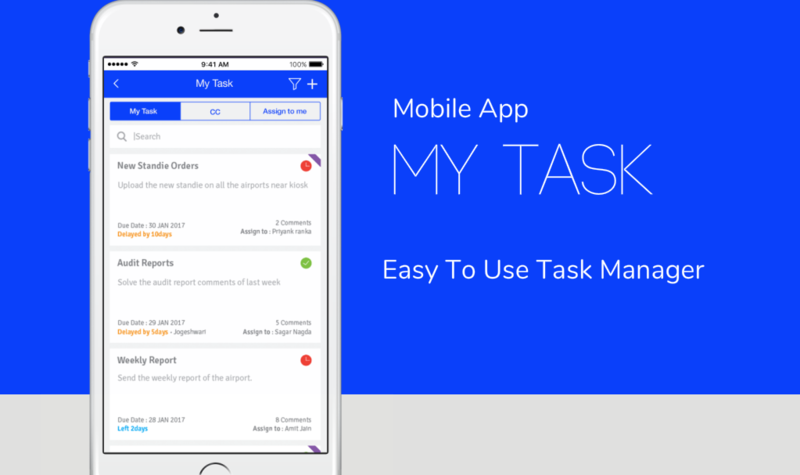 Task Management - Task Management feature lets you assign tasks to your subordinates and track them to meet deadlines. Most importantly, you can keep track of tasks completed or being delayed. Salesly.ai act as generic sales CRM software - suited for all kind of businesses and organizations, irrespective of the employee strength. 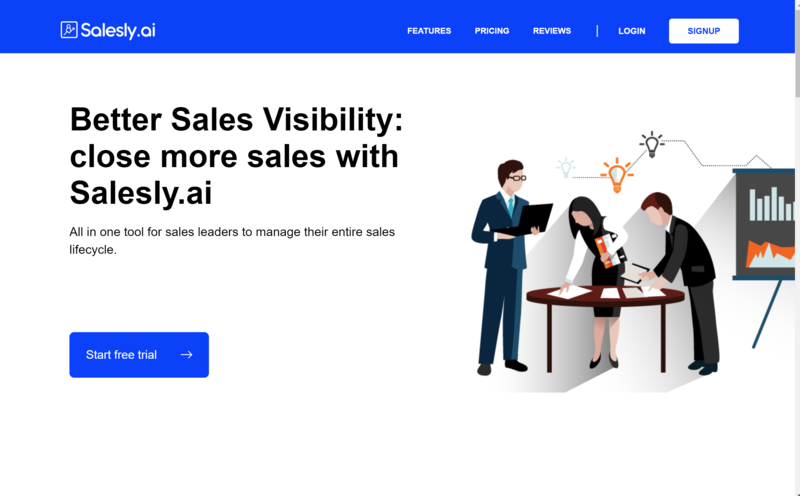 Salesly.ai acquires unlimited data and works as sales automation tool created to solve common sales related issues faced by companies deploying sales executive on the field. Lead Management - Application enables field force to manage leads, sales report analysis and sales forecasting for future marketing decisions. Getting a lead and maintaining the lead until the conversion completion is the most important task for a sales professional. Therefore, it can become increasingly difficult to maintain all the details and logs of every meeting and follow-up at all times. With Salesly, you won’t have to worry about that. Expense Management - The expense management system makes an employee claim reimbursement even more simple. Therefore any expenses incurred can be entered here with photocopies of the bill as well. This can help in tracking any expense incurred on the job. Task Management - Task Management System feature will encourage all the employees to work harder when they would realize that their work is being monitored. It will also inculcate a sense of healthy competition among teammates. Employee Communication: Salesly allow users to communicate among employees and share their views and opinion. Interacting with team employees is essential for the growth of any organization. It also helps in multiple tasks assignments to different sales force personnel and gets completed individually on time. 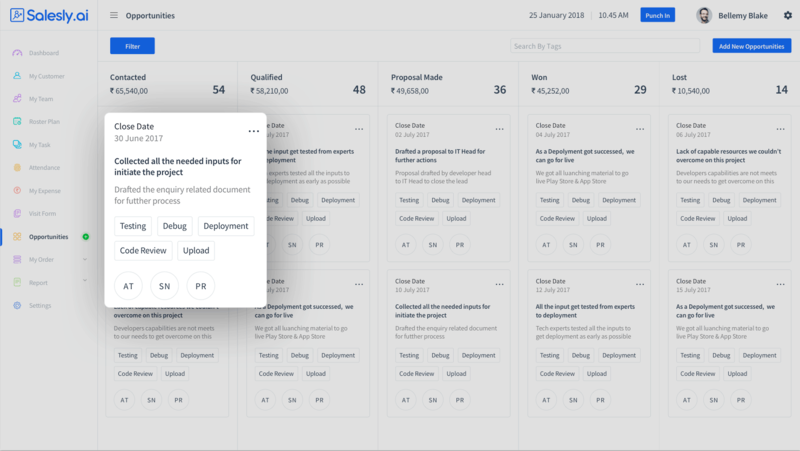 Sales target and order management: It’s a Visual Sales Pipeline that is an all-in-one window to track your sales pipeline progress, add tasks and set up meetings easily. Create user-defined tags to segment the pipeline in a better way. Most importantly this feature also helps you to check which product has been sold the most and which is sold the least and according to that, you can take a decision for your business. Paperless Digital Form: Application helps field agents and employees to build digital forms for quick and easy communication. Add smart messages, document, voice messages, and material data. Forms can be filled once or multiple times by any user. You can capture the location of where the form has been submitted. You can divide the form in various sections and can also be linked to a group. Staff Roster Plan: The Roster plan application is specially designed for an admin manager to assist in the complex task of creating employees shift schedules. Roster plan allows the shift planning to be an easy and time-saving task. Admin user can organize and schedule daily tasks for the employees as per the priority. The salesperson can also add client meeting reminder and task reminder. Geofencing tracking: Salesly allows you to monitor your employee’s check-in and check-out time and attendance from anywhere at anytime. Geo-fencing is set for a particular user in employee tracking software. Furthermore, your employee will be restricted and mapped to the selected area for check in and check out purpose. Most importantly, on the global screen, an admin can also see the sales employees’ current location on the map. And the location keeps on changing as the person moves from one place to another. Track sales and daily activity of employees: Every employee along with his manager must know what daily tasks and activities he has to perform and by what time does he needs to complete them. Therefore meetings are an important part of the life of a professional and thus need to be done properly. Meeting status updates, meeting minutes, leads - everything can be saved on the priority basis. It also helps you in making to next to-do action list. Organizational Structure: It is an administrator feature where you can make a gathering for taking a shot at a similar undertaking. Most importantly you can also assign team head for the project. This attribute causes you to aggregate all the individual from the organization in a hierarchical structure. By this quality, admin can see who is working under which team, team head, and the total list of team members. It also helps in assigning the team based on their working results. 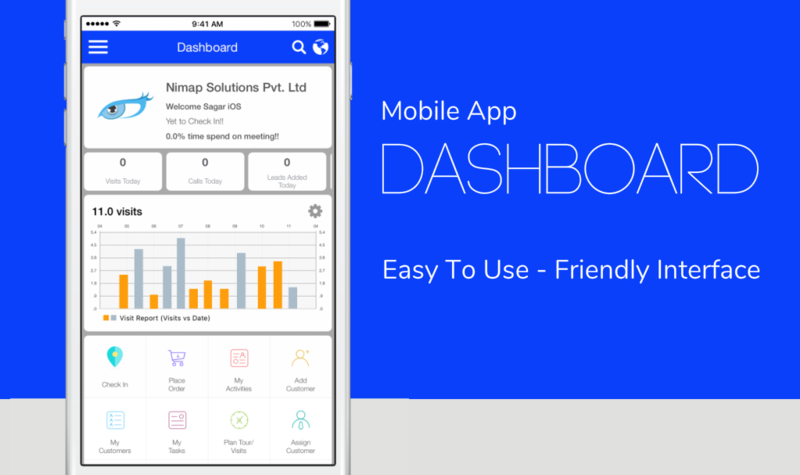 Access your sales data on the go with our Mobile apps (iOS & android) - With the ease of managing your data, the mobile app helps you access them even on your mobile phone. Starting with Salesly.ai is easier than anything. Big, small, online, offline, local or other. Size doesn't matter - a one-stop shop for your sales and helps you build relationships with your customers.